Wine cellar cooling units must always be functioning properly, so that your wine collection is not at risk of spoiling. Regular maintenance is necessary to make sure that your wine cellar refrigeration system is constantly providing your wines with the climate conditions that they need. This service call to fix a wine cellar cooling system in Corona del Mar is a perfect example of why regular maintenance is very important. Those who want to venture into the art of wine collecting know that wine is a wonderful investment. It is a product that increases in value over time as long as it is kept in the ideal conditions. To protect their investment, wine enthusiasts should make sure that they have an effective wine storage solution first, before starting their wine collection. The most ideal wine storage solution is a wine cellar built in the comfort of your own home. Residential wine cellars allow easy access to your favorite wines, since you do not need to go elsewhere to get a bottle from your collection. Also, they provide an opportunity to be creative and a chance to flaunt your collection to your guests and friends. Home wine cellars come in various designs and styles, that range from simple to elaborate. A wine cellar refrigeration unit is an essential part of a residential wine cellar, because it is the unit that provides the cellar with the cool air that wines need. Each residential custom wine cellar needs a different wine cellar cooling system, depending on its storage needs. Wine cellar refrigeration units are responsible for providing the cool air necessary inside a wine storage room. An efficient wine cellar cooling unit is one that can provide the ideal temperature and humidity levels with minimal to no fluctuations. You will know if your wine cellar refrigeration system is no longer functioning properly if the temperature and humidity are no longer in the ideal levels. Ideally, the temperature inside a residential custom wine cellar should be within 55 to 60 degrees Fahrenheit, while the humidity should be within 60% to 70%. There can be many causes a poorly functioning wine cellar cooling system, but in order to avoid most problems, and to prevent the worsening of existing problems, regular maintenance should be done. M&M Cellar Systems is one of the most trusted wine cellar refrigeration systems manufacturers based in Los Angeles, California. They manufacture various kinds of wine cellar cooling units, that can meet your wine storage needs. They have wine cellar cooling systems for both residential and commercial wine storage solutions. 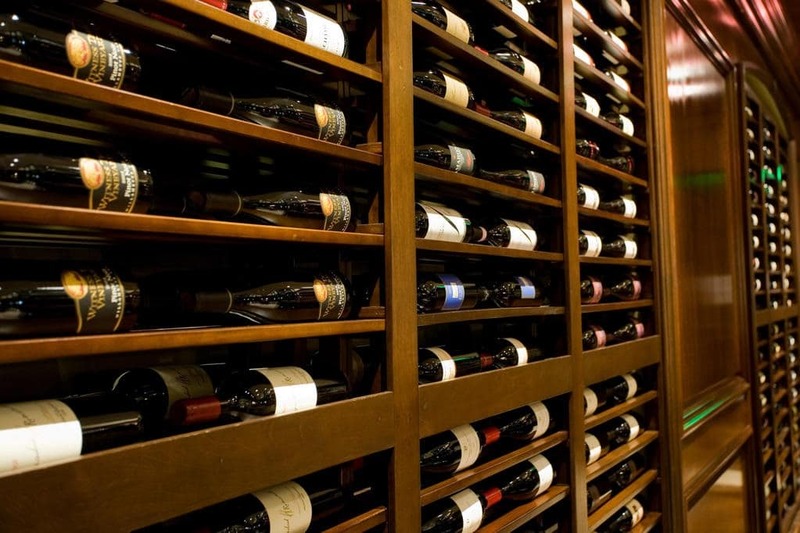 M&M Cellar Systems offers services that include determining the specific wine cellar cooling system most appropriate for your residential custom wine cellar. Besides installation services, they also provide wine cellar cooling unit maintenance services in California. One of the best examples of why it is very important to have regular maintenance services done on a wine cellar cooling unit is a recent service call that M&M Cellar Systems received. The service call was to fix a poorly functioning wine cellar refrigeration system in Corona del Mar, a city in Newport Beach, California. The client’s wine cellar cooling unit was an LPQ 6600, which is generally a very reliable type of cooling unit. The client called to complain that the unit was no longer cooling the wine cellar, due to a leak found in the unit’s condenser. The client had never had this wine cellar cooling unit go through regular maintenance before, and had neglected it. After inspection and investigation, it was found that the leak was possibly caused by the poor installation of the wine cellar cooling system. The refrigeration lines were found buried in the ground, with no protection cover. This also caused leaks. Repair personnel from M&M Cellar Systems repaired the leak and did the necessary corrections. Fortunately, no permanent damage was caused by the leak. Also, it was a good thing that the client made the service call, because if they waited longer before acting on the problem, more serious damage could have occurred. The client’s LPQ 6600 wine cellar refrigeration unit is now functioning properly, and cooling the residential custom wine cellar in the right temperature and humidity levels for proper wine storage. Wines are a very sensitive type of beverage. There are many factors that can easily damage wine. One of wine’s worst enemies is heat. Wine easily loses its quality when exposed to too much heat. This is the reason wine bottles are generally dark tinted: to protect wines from exposure to light, which produces heat. If a residential custom wine cellar cooling unit is not functioning properly, the wine collection is at risk of being damaged. The risk increases the longer the problem fails to be dealt with. This is why it is imperative that, once a problem is noticed in the wine cellar cooling unit’s ability to cool the wine storage room, immediate action should be taken. Regular maintenance and servicing is important, so that you can identify problems with the wine cellar cooling unit immediately, and, consequently, you can have it fixed quickly. The faster the problem is solved, the safer your wines are. Never allow your wine collection to be in a place where the ideal wine storage temperature and humidity are not provided. Prevent unnecessary wine spoiling by making sure your wine cellar cooling unit in Los Angeles, CA is always functioning at its prime. Sign up with M&M Cellar Systems for a regular maintenance plan. For more information about M&M Cellar Systems and their products and services, contact them at (323)578-3330 today!